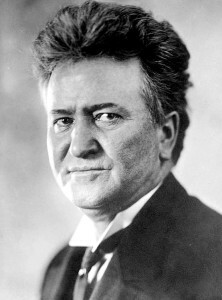 Governor of Wisconsin (1901–1906) and U.S. senator (1906– 1925), La Follette led the Progressive Movement, an effort to bring about large-scale political reform. Although La Follette failed in his bid for the White House in 1924—he ran on the Progressive Party ticket—he did poll some 5,000,000 votes, nearly 17 percent of the votes cast. His Progressive philosophy was shared in varying degrees by such politicians as Theodore Roosevelt and Woodrow Wilson.